LPG combustion has its unique problems. A lot of scientific studies proved already that the use of LPG as alternative fuel for internal combustion engines is advantageous from several points of view. The most important fact is, that engines which use LPG as fuel produce exhaust which is more environmentally friendly than exhaust produced by engines which combust petrol or diesel. At LPG combustion it is generated by 10% up to 25% less of carbon monoxide than at petrol combustion. Nevertheless carbon monoxide has a substantial effect on global warming. With the view to ecology of operations the user are able to calculate the advantages of lower operating costs. LPG combustion has its unique problems, too. More difficult ignitability owing to inhomogeneous gas mixture in combustion chamber is one of them. 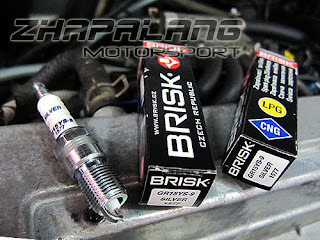 Increased demand on ignition system voltage and more difficult starting-ability at low temperatures is the consequence. 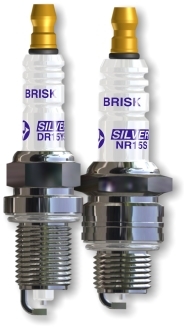 The spark plugs BRISK Silver which are designed specially for gas ignition in LPG-driven engines help to eliminate these problems. 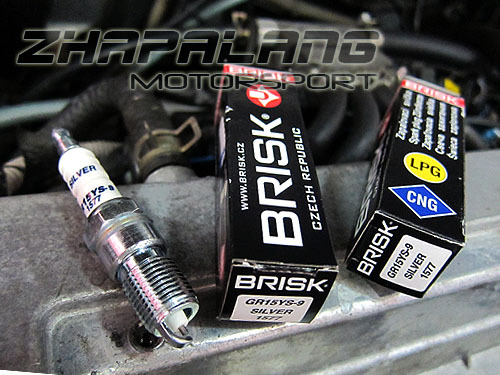 Spark plugs BRISK Silver have special shape of spark gap which enable easier access of gases to flashover, silver center electrode with small diameter and electrode gap 0,55 mm, 0,7 mm and 0,9 mm. 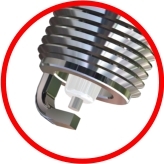 The voltage demand of spark plug is considerably reduced by silver centre electrode with small diameter along with reduced ground electrode.